Little House On The… Prairie? Each year after the pumpkin patch trip, each child brings home a pumpkin. They usually sit for decoration and rot. Not this year! Sometimes I feel pretty domesticated. I’ve got tea in my crock pot, making food from scratch, and an opossum holed up in our garage this week-end. Opossum 2, us – 1. (No wonder those garage cats were spooked! That is a one UGLY mouse with a nasty long tail!) Yuck. While cooking and baking so much from scratch seems to be so foreign in our country, we’re really only one generation removed from knowing how to cook and live this way… and we can see where that has gotten us! “Get out of your house more,” they say…. and where did that get us exactly? People are tired and stressed, families are broken and we have more disease than ever before, with “technology” inventing chemically laden foods, and a disease-care system laughing all the way to the bank. One of the biggest gifts is having to slow down… having to think, plan and to really consider for our family, what we need to say no to in order to say yes to restoring our health while strengthening our relationships. We’re also able to attempt so many things we weren’t able to before – together. Personally, it makes me much more adventurous and wiling to tackle things I wouldn’t have bothered with before. 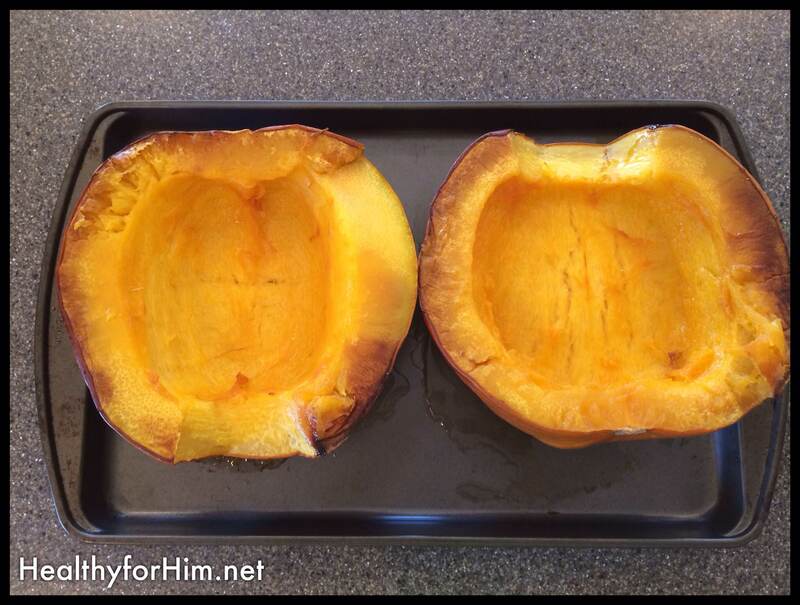 Gutting a pumpkin isn’t super hard. Sure it’s a little messy, but roasted pumpkin seeds are worth it. Boiled for 10 minutes, and baked for 25 at 350 degrees. Just a little coconut oil, salt and cinnamon – and you have a tasty treat! Cutting the pumpkin in half, we turned it over and roasted for one hour at 350 degrees on a plain baking sheet like this. This weekend it was roasting our whole pumpkins and freezing the “meat” to use later. I was preparing a large batch of roasted pumpkin seeds too! 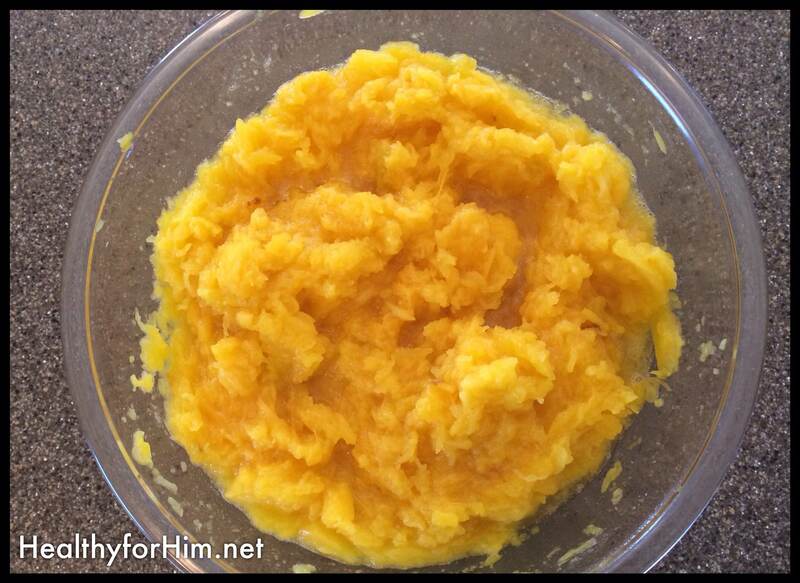 Maybe not a big deal to you – but for me, it was showing our children the goodness of God in what He has provided for us in the things He created! 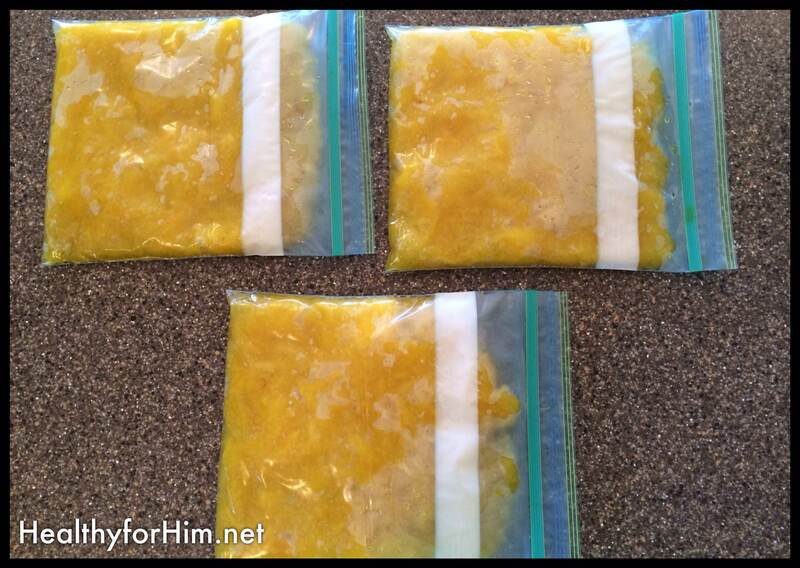 The pumpkin was easy to scoop into 1-2 cup portions and bag flat for the easy storage in the freezer. Some of it we just ate fresh with a little bit of a cinnamon. Yum! It smelled delish! 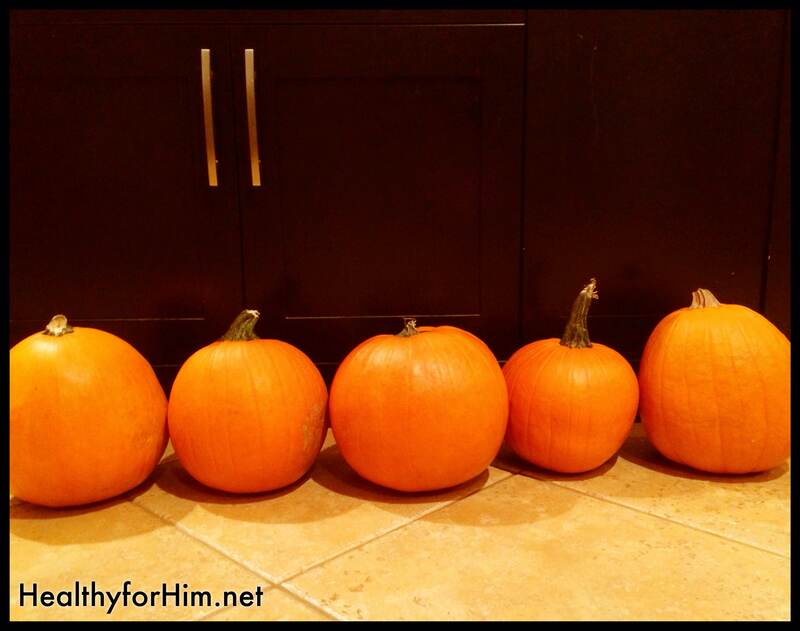 Posted on October 21, 2013, in Auto Immune Disease, Celiac/Gluten Sensitivity, Food To Try and tagged auto immune disease, celiac disease, freezing pumpkin, gluten intolerance, healthy for him, large family Paleo, making pumpkin seeds, MS, paleo, Roasting a pumpkin. Bookmark the permalink. 4 Comments. 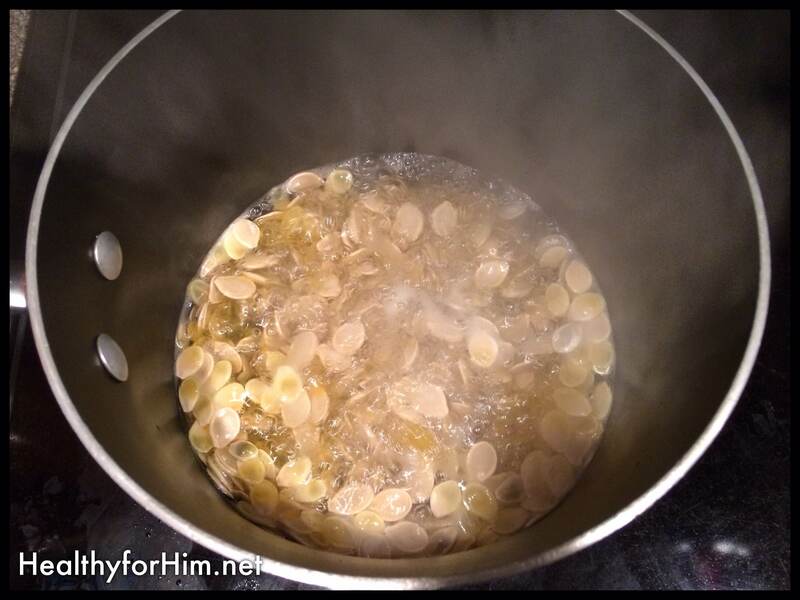 We pulled all of the seeds out and separated them from the pulp, rinsed them well, then boiled them for 10 minutes. Then we dried them, put them in coconut oil and spread them on parchment paper on a baking sheet to bake for 20-25 minutes at 350 until they were golden brown. We also put cinnamon and sea salt on them. We did not eat them raw. Thanks for the laugh picturing you armed with a shovel shouting at a opossum. 🙂 I have a bowl of pumpkin seeds on my counter waiting for the right recipe. Providential timing! LOL! I’m sure I was quite a sight!